Preply is a global marketplace for online language learning. Preply's professional tutors will prepare you to speak confidently. 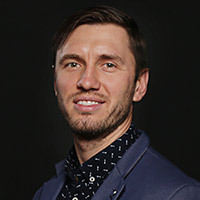 Kirill Bigai is a tech entrepreneur with Engineering background in Telecommunication. He spent 5 years working in IT/Telecommunication business as Intelligent Network Engineer and Implementation Consultant/Product Manager. In 2012, together with his co-founders, he started building Preply which these days is one of the leading marketplaces for online language tutoring. Kirill is super ambitious and passionate about growth, product, customer experience. He believes that Preply will help to transform outdated education market and bring the efficiency of learning to the new level.